Undergoing a discectomy could help you achieve relief from your chronic neck and back pain. The professionals at Tahoe Fracture & Orthopedic Medical Clinic’s Reno, Nevada, location have extensive experience performing this procedure, which involves either partially or entirely removing a damaged spinal disc. The professionals at our Reno, NV, office generally recommend that patients with neck and back pain first undertake a conservative course of treatment before turning to surgery. But if you’ve already attempted to treat your condition through nonsurgical means and have been unable to find relief, you may want to consider undergoing a discectomy. 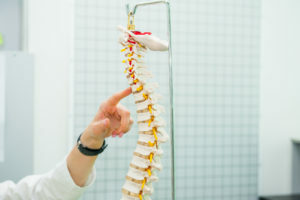 During a discectomy, a surgeon will remove either part or all of the damaged spinal disc, depending on how far your spinal condition has progressed. If the discectomy involves the removal of an entire disc, the surgeon may insert an implant to help stabilize the spine. If you’re interested in learning more about the discectomy procedure that we perform at our Reno, NV, office, please call Tahoe Fracture & Orthopedic Medical Clinic today. Our knowledgeable team of professionals includes multiple surgeons as well as physicians, physical and occupational therapists, physician assistants, and nurse practitioners. We look forward to helping you restore your function, mobility, and quality of life.